Abaad Centre for Studies and Researches has cautioned against attempts of toppling the recently-formed government presided by Mohammad Salem Basindwa and turning Yemen to the pre-situation of the GCC-brokered deal. ” President Ali Abdullah Saleh and other parties are maneuvering to topple the National Reconciliation Government presided by the current Prime Minister , one of the most focal oppositionist of Saleh” Abaad centre said in its periodic report. ” Reality signs indicate that Saleh controls security and economy at this time, but his political and military grip is fading” added the report, ” If this control does not end with the election of a new president on February 21, the duties of Basindwa government will fall short”. Nevertheless , the report considered the formation of Basindwa government from technocrats and party figures, and its obtaining to the confidence of parliament was itself a success, stressing that it still needs to ensure people through providing essential services , in particular shortages of fuel and electricity. ” The report slammed some decisions taken by the government, pointing out that the decision of shifting weekend to Friday-Saturday instead of Thursday-Friday had no priority, despites its significance for development” said the report. “Undoubtedly , that procedure would facilitate the performance of financial institutions and authorities , but It would have been more affective if it was postponed to post presidential election”. The report mentioned that the approval of this decision would push some radical factions to antagonize the government. Moreover, it indicated to remarkable achievements carried out by the newly-formed military committee as it eased unrest between pro-regime and anti-regime military divisions, but it expressed worries of any developments that could break out clashes again. ” Under the GCC-brokered deal , Vice President Abdu Rabu Mansour Hadi presides the armed forces and security, and the newly-formed committee, thus any military efforts of Saleh or his military units would be considered as a rebellion” said the report. ” The commanders of these units could be followed up as illegitimate groups, and they would be pursued as war criminals because the initiative has regional and international back aiming at transferring power peacefully in Yemen”. The report pointed out that Saleh sees the GCC-brokered deal as a menace and that foreign states that forced him to sign the initiative in return of immunity began responding to those who seeks trial for him , emphasizing that his worries made Saleh cancel his travel request for treatment in the United States, the state that accepted to receive him as a citizen. ” Saleh’s existence inside the country would in any case lead to the failure of the GCC-brokered initiative, or the outbreak of war as a result of obvious maneuvers exerted by him under the umbrella of his divided party or what is called the security committee, and that comes in light of the increasing disagreements between Saleh and Hadi”. The report cited events Saleh used as reasons to fail the initiative such what is dubbed as the revolution of institutions. ” Although the demands to dismiss some bosses of government institutions were spontaneous, they should have been postponed until the holding of presidential elections”. ” The institutional revolution was marked with its human rights nature, not politics nature. It is a new way which suits change of the revolution stages. 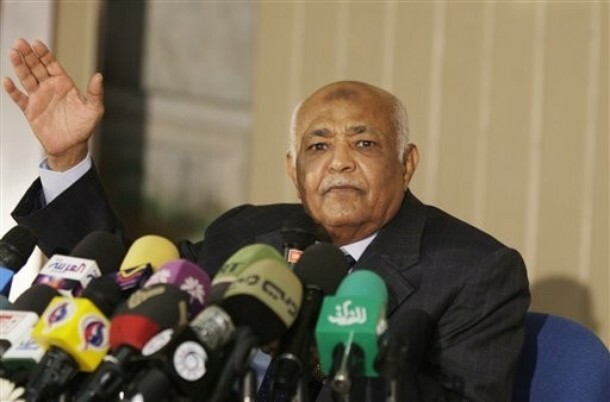 However, Saleh exploits that to renege on his commitments to the GCC-brokered deal,”. ” Although there are difficulties and potential troubles, Yemenis will likely be able to vote on February 21 and elect a new president” . The report further said the new government has no effective media, so some opposition figures exploited this gap to remark useless comments pointing out to commander of the First Armored Division Ali Mohsin Saleh and Secretary General of the Dialogue –Preparation Committee Hamid Al-ahmar. Abaad urged the government and the military committee to clarify all updates through holding regular press conferences and statements, indicating that all opposition and tribal leaders should cooperate with the new government and facilitate all its challenges to enable the government performing its duties . It also called on the main Yemeni opposition party that spearheads the change movement, Islah, to expand political partnership with ideological groups and civil society so as to reach an agreement that all Yemenis support in future. As for the creation of a new party, Alomah, the report emphasized that such move will be constructive if this party could drag the Houthi group into politics. It advised the Houthi group to participate in politics through the current political parties or forming its own party, adding that the religious leadership of ideological groups that along the lines of al-Sistani or Sadr in Iraq is not productive in Yemen, warning that the procrastination of Houthi group to join to the political process would lead to the fragmentation the group. The report did not rule out eruption of confrontations in Sana’a between Alhouthi group and other opposition parties, pointing out that militants of the Houthi group and other tribal men are currently preparing for attacking supporters of other parties in some protest squares. The report stressed that international and regional events had its impacts on Yemen, saying that huge western pressures economic sanctions recently put on Iran made Tehran intervenes in the region’s affairs. It cautioned against the shift of Yemen into battlefield for conflict between regional and international forces, citing Saada wars in which Saudi Arabia and Iran supported the fighting sides. The report revealed that Iran pushed Saudi Arabia to pledge to some leaders of the Southern Movement to support the federalism option in case they abandon communications with Tehran which tries to attract and support some activists of the Southern Movement through coordination with the former vice President of Yemen Ali Salem Albeedh and his son. ” Support of federalism in time that the central state is weak no less dangerous than the support of secession, thus that gives legitimacy to the autonomy of the Houthi group affiliated to Tehran “said the report. As for Al-Qaeda in the southern governorate of Abyan , the report affirmed that Ansar Sharia and Al-Qaeda in the Arab Peninsula began expanding to some areas of Shabwa, and Marib. ” There is coordination between Ansar Sharia and Al-Qaeda in the Arab Peninsula as Al-Qaeda has abilities to carry out more complicated operations” added the report,” The two organizations are currently stationed in the region of Jaar after they pulled out last September from Zinjibar which was previously declared as an Islamic Emirate. ” Al-Qaeda actually runs Jaar region after it changed its name to ” Wakar” and manages education institutions” it mentioned. “It further canceled the subject of nationalism education and replaced the national anthem with another religious one” . ” Zinjibar has become a ghost town, empty of population, its building is full of bombs and explosive devices” added the report. ” The army could have controlled the city easily, if it used the Eid al-Adha holiday to carry out a surprise attack as most of the organization’s members went to visit their families at this time”. The report expected that the total number of militants in Abyan amounts nearly 1000 including Somalis, Gulf nationals , Moroccans and other Arab and foreign nationals, pointing out that the Yemeni military killed approximately 500 militants during the past months. It ultimately revealed that disagreements have emerged between the Islamic Aden-Abyan Army headed by Khalid Adul-Nabi ,and Ansar Al-Sharia and Al-Qaeda in the Arab Peninsula and that pushed supporters of Abdul-Nabi from Jaar to Yafa’a.